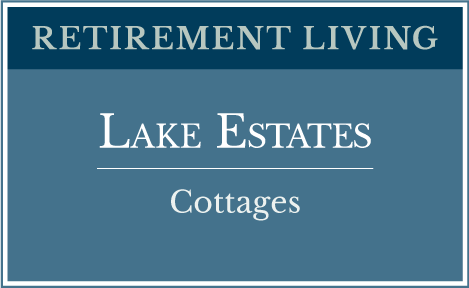 The charming cottages of Richfield’s Lake Estates offer you independent senior living in two- and three-bedroom floor plans. 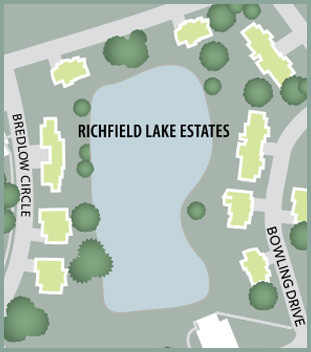 For those who want the extra space and privacy of a patio home, the Richfield Living Lake Estates offer independent senior living options spaced near and around a scenic lake — perfect for Sunday afternoons spent fishing or relaxing. 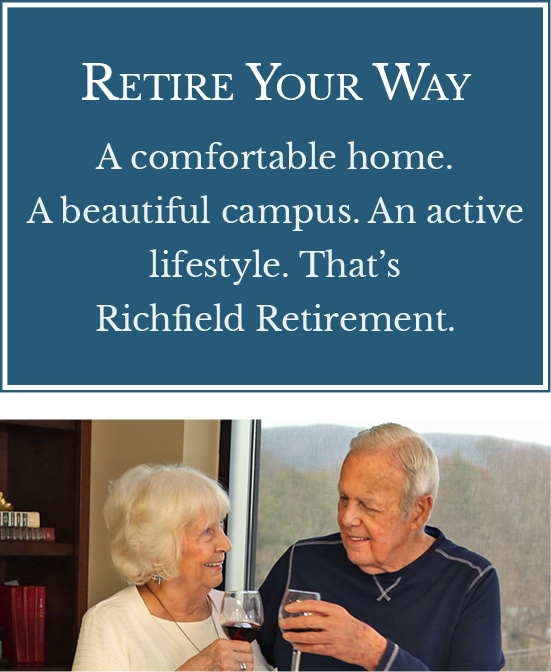 Here you can have a picnic by the lakeside, enjoy the meticulously landscaped gardens and outdoor recreational areas, or socialize with the rest of the Richfield community in the Shenandoah Room at Knollwood. The local library is nearby, and with free access to our Wellness Center, keeping your body and mind in top shape is simple and convenient. 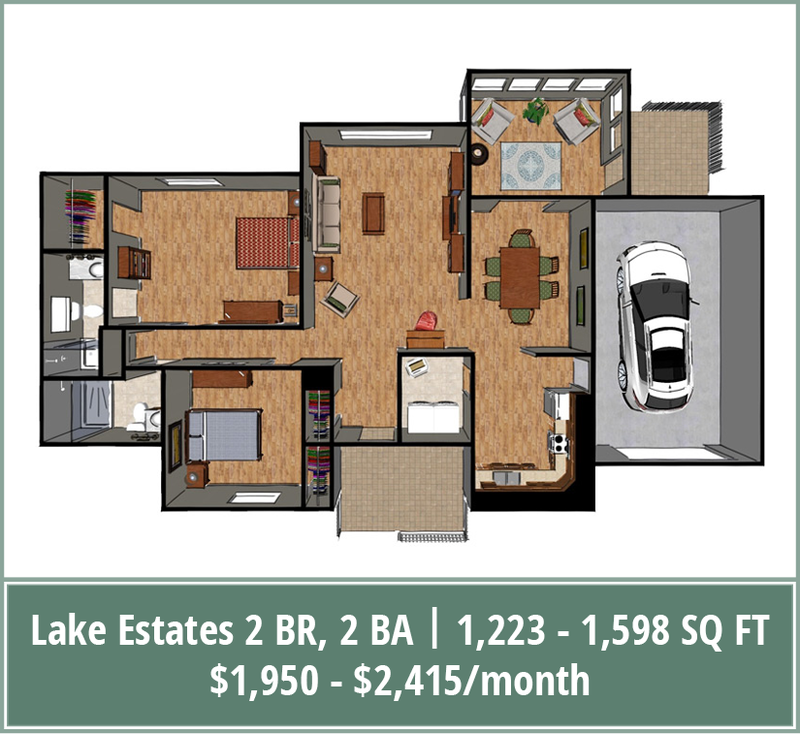 Monthly rental includes all utilities, satellite television, internet access, routine interior and exterior maintenance, and year-round lawn care. You’ll also have access to complimentary transport to shopping centers, banks, doctor appointments and recreational outings. With 24-hour security, individually tailored wellness programs, and a close-knit community, Richfield Lake Estates is where your new chapter begins: where you can live, relax and enjoy the life to the fullest. 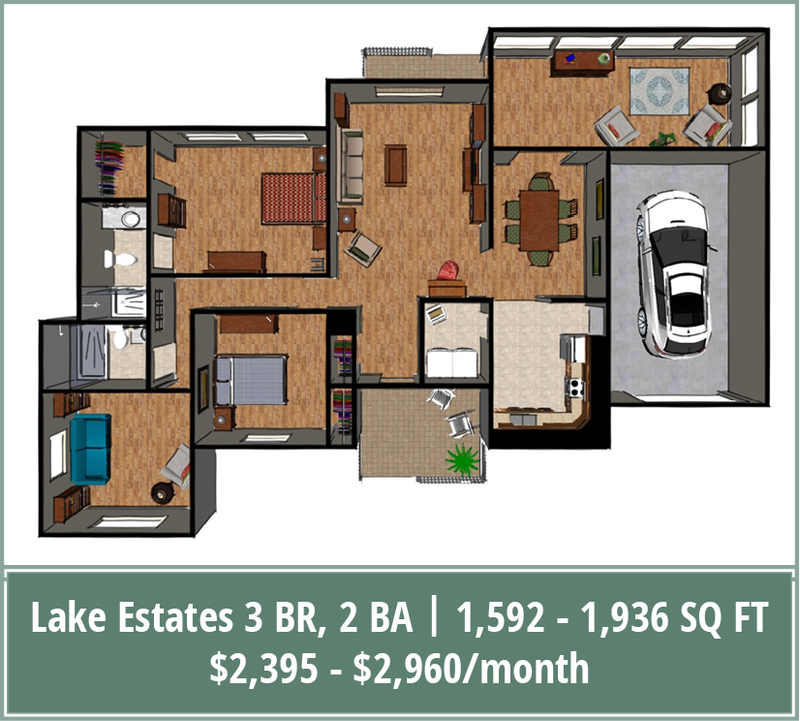 At Lake Estates, you will find all the comforts you desire in senior independent living, overlooking a scenic lakeside with a supportive community of people.